Want a great, effective, and full body workout tool? We have the best solution for you. Kettlebells! An awesome piece of gear that can be used for a large variety of exercises, help you develop better coordination, and is very affordable and a space saver! We have put together a great blog to show you how to use one of the most popular pieces of gear currently being used, as well as types of kettlebells to use, how to assess your skill level, and how to properly engage your hips and core with kettlebell. Using a kettlebell will give you a new outlook on exercise, a refreshing view on adding more variety to your workouts, and ultimately bringing you more results! Looking for a great alternative for a low carb pasta? Try preparing spaghetti squash! One of the best vegetables to use in place of pasta, and a great taste too! Here we provide you with all the information on this nutritious vegetable, from picking the best squash, how to store it, as well as step by step instructions on how to prepare, and cook a delicious Spaghetti Squash. A great low GI food that is loaded with B Vitamins and other nutrients, it is a must try! 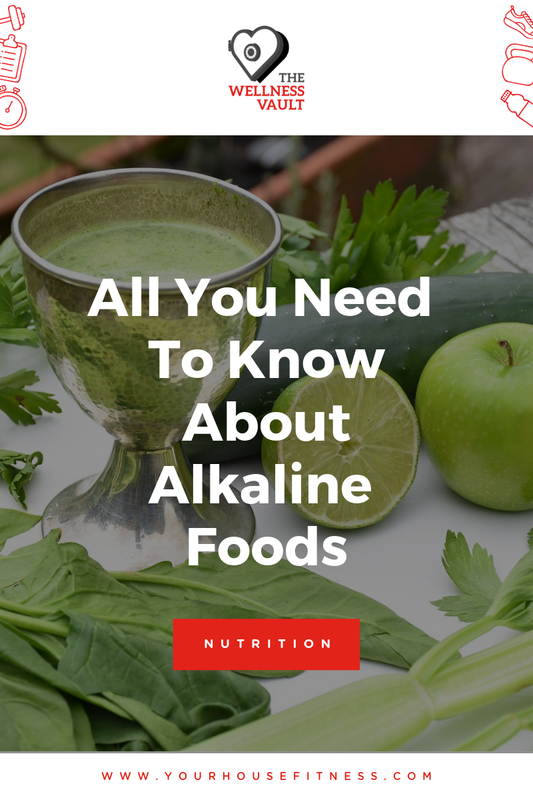 Here we give a thorough understanding of what goes into our food and how we should make informed, healthy choices. Food and food production is a complicated, and often misleading world, so we have written a fantastic piece to help you understand labelling and the current laws and regulations behind food production. Here you will learn about the benefits and risks associated with different foods and how to make better food choices. Read about how quality foods can make a difference in your life. Remember, stretch everyday to ensure proper functioning of working muscles. This is especially important for the upper back, known as our thoracic region. These muscles pull on the base of the skull and can cause tension in our shoulder and neck. We have provided some simple basic stretches that can be done on a daily basis to help relieve all that built up tension a lot of us carry in our thoracic area. There are many varieties of stretches from simple head tilts to more deep maneuvers that target the upper back, trapezius muscles and shoulders. Including some daily stretching is vital to good mobility, so take a look through and try them out for a few minutes a day. click on the link below for examples of upper back stretches. Want to get some serious tone in the glutes, hamstrings and core? Get serious about deadlifting! Here we demonstrate the classic and straight leg versions using some dumbbells. Deadlifts are great for strengthening the core, glutes, and even the lower back. We have two different variations for you to try, both meticulously laid out with specific instructions and photo guides to help you. Feel the whole body challenged from the feet to even the grip strength! Feel comfortable to get some quality lower body strength work after reading this piece. Follow this article to perfect guide the dumbbell deadlift. Learn how to properly execute one of the most effective leg exercises available to you - The Bulgarian split squat. We will properly demonstrate how to execute this exercise so you can try it for yourself safely and with good form. The Bulgarian Split Squat is a very core dominant exercise that focuses on lower body strength and balance, making it extremely effective and useful in an exercise program. We have provided step-by-step guides on how to execute the movement, and modifications if necessary. A great exercise to build the glutes, quads, and hamstrings as well as challenge the core and balance! As virtual reality becomes more a part of our lives, many are making the connection between its growing potential and the exercise industry. People are always looking for new and more convenient ways to work out, and if we’re being honest, many of us are seeking ways to make the process a little more interesting as well. Virtual reality, through its ability to take us out of the real world and drop us into limitless other settings and scenarios, can address these goals. Applied correctly, with convincing graphics, immersive ideas, and the necessary relevant equipment, it can theoretically make it more convenient and more enjoyable to exercise. One way to look ahead to a near future packed with VR workout options - something that will almost certainly come to fruition - would be to examine the technologies involved. However, we can also just say broadly that headsets are improving, prices are likely to drop marginally, and equipment from VR-integrated exercise bikes to original machines is already being developed. So instead of diving into the tech specs, we’re going to take a slightly more outside the box look at the potential of the VR-fitness link and look at some existing VR programs and games that demonstrate - directly or indirectly - where we could be heading. This is basically a whole VR workout system that’s already been designed and demo’d to fairly extraordinary effect. It’s a full-body system with a gyroscopic design that basically challenges you to use your entire core to control movements - all while you’re in a sort of flight simulator via virtual reality. ICAROS itself figures to be a very popular machine if and when it’s widely released, or even installed in gyms. But it also demonstrates more clearly than anything else on the market the potential for VR to spawn entirely new workout systems. Gladius is actually just one of several sword fighting VR games that have come out, and at first glance it looks like a glorified mobile game. Perhaps that’s more or less what it is at this point, at least from a visual standpoint. However, this app and others like it - ones that can involve quick physical movements and combat simulation - have the potential to be twisted into effective workout routines. Anyone who has ever practiced a martial art or to some degree even yoga or high-intensity interval training recognizes the benefit of quick sharp movements in getting the heart rate up and even toning muscle. Games in the vein of Gladius can get players to go about these movements without it feeling like a workout. Gonzo’s Quest is a game best known for being among the latest titles to headline casino arcade sites and free slot sections. And in its simplest form it’s simply an online slot reel that happens to have very sharp graphics and an engaging story. The game has been put into VR however and while it’s hard to imagine workout out with it in its current form, it introduces an interesting possibility. The game works such that slot wins more or less propel an explorer through a journey, and one can easily imagine a spun version in which solving a puzzle or completing any kind of gaming element unlocks a physical obstacle course. It would require a stabilized treadmill or some other motion-assisting contraption, but in this way a game as simple as this one can even be used for workouts through VR. We’ll close this list with another concept that, like ICAROS, is a little more developed than our more conceptual takes on Gladius and Gonzo’s Quest. CycleVR was made by a single digital games developer and - as you can guess from the title - combines VR with a home cycling machine. Through this simulation (and already some others like it) you can feel as if you’re cycling anywhere in the world when in fact you’re on a bike in your own home. In all likelihood a certain program or system will emerge as the face of this particular style of VR workout, and we have yet to see what that is. But more than any other concept or development so far, this one seems as if it will inevitably be part of the gym life. If not yourself, at least one of us knows a friend, a family member, or a co - worker who has complained of low back pain that is chronic or acute in nature. Chronic low back pain is the second leading cause of disability worldwide and the most common musculoskeletal condition affecting the adult population. Statistical evidence has shown a continuously increasing pattern of incidence and prevalence, supporting the significant impact this condition has on the contemporary world. There are many implications and burdens that may manifest from low back pain, ranging from reduced functional capacity, increased difficulty to complete activities of daily living, ongoing absence from work, and increased stress. Low back pain can have a diversity of pathophysiological streams that have led to the presentation of pain. However, we will primarily focus on low back pain from a mechanical perspective to address the modern seated office worker or the self - professed gym rat. Low back pain is commonly treated with analgesic medication, rehabilitation and ongoing rest. This is a paradox, as the individual resumes the same lack of inactivity that led to mechanical dysfunction and potentially even more sedentary activity. Exercise is slowly emerging as a widely recognized appropriate and effective treatment modality. The spine has 4 compartments, the cervical, thoracic, lumbar, and coccyx / sacral vertebrae. Each compartment is uniquely designed for a specific function. Low back pain occurs along the lumbar spine. A region of the area with 5 vertebrae ( consider these as hinges). The lumbar spine is specifically meant to engage in flexion, extension and minimal rotation. Our ongoing sedentary activity, leads to the loss of our functional capacity to complete these basic movements. Our body creates specific adaptations to specific demands. If we do not train our capacity in these ranges of motion and suddenly add load (either a 20kg box, or a 20kg barbell), dysfunction and damage will ensue. An unstable spine is intolerant to spinal flexion along the sagittal plane and compressive forces. In addition, the lack of thoracic mobility, hip stability, and hip mobility with an unstable lumbar spine is the perfect recipe for low back pain. Remember, you also have to be careful on the selection of the chair you choose for your desk job. Especially for seniors. Here a couple of chair exercises for seniors that will help them strengthen their lower backs. In order to address the low back pain in a progressive and pro - active way; it is key to address the core and develop the ability to control and brace the spine. The ability to engage the brace the spine will help improve your mobility and the body to generate force. When you can assume a braced spinal position instinctively and be able to handle imposed demands of varying loads, you are able to reduce re injury or recurrence of low back pain. Exercise that increases your functional capacity to handle activities of daily living will ensure that you live your life pain free and at optimum peak. Ernest Manalo is a trainer with a high knowledge in kinesiology at Your House Clinic. 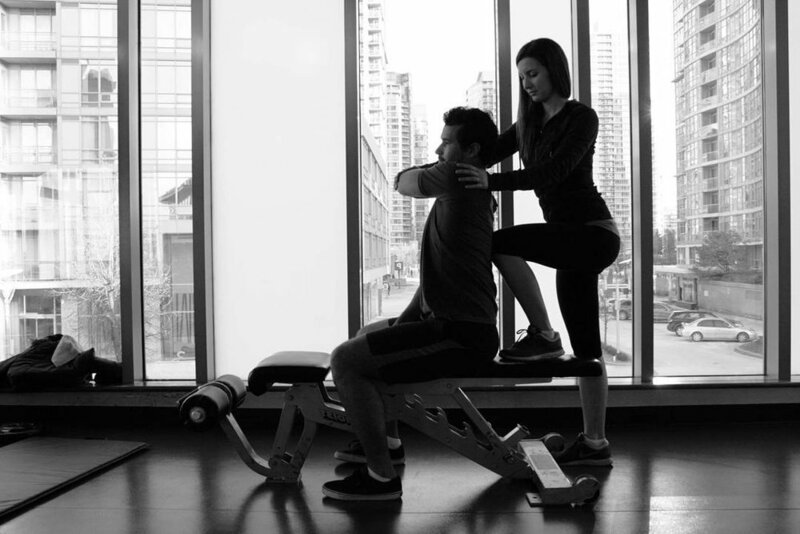 Inquire here for an assessment on back related issues with one of our experienced personal trainers or kinesiologists. This article was written while listening to that's all lyrics. Thank you for reading. Stiff and sore muscles? These videos will demonstrate effective techniques to help tackle the common areas of the body that present tightness and immobility. We show you simple and effective techniques to help your muscles recover and maintain proper ranges of motion. We employ a variety of practical and effective methods to help you keep those muscles working all year round, and to help keep your body pain free. Check out our videos series below on muscle activation techniques. We filmed a series of videos that offers insight into dynamic stretching that are specifically for keeping your body mobile and primed for exercise. We will show you movements targeting all major muscles and joints, as well as explain the purpose of specific warmups for your sport or activity. 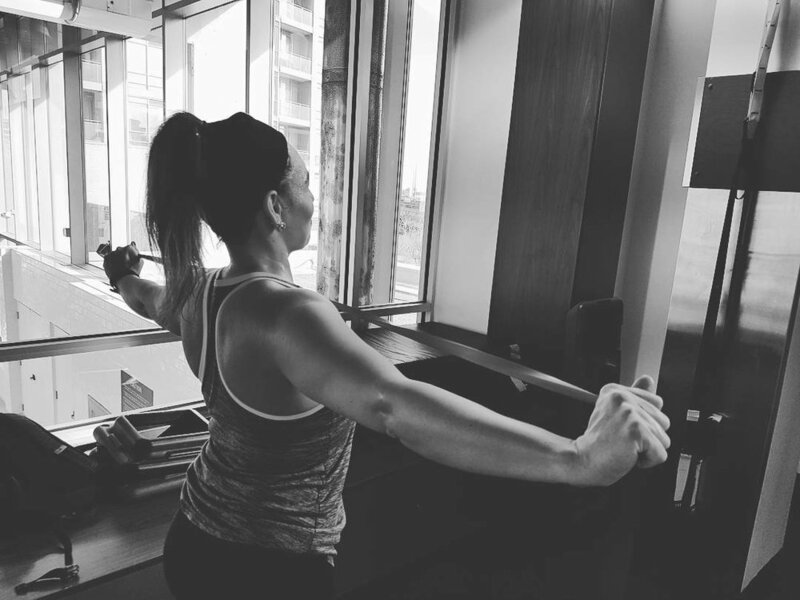 It doesn’t matter if you are a recreational athlete, casual exerciser, or seasoned Ironman because we tackle all areas of the body for warmup. The shoulder joint is one of the most complex structures in the human body. The shoulder joint is the most freely movable joint we have, and with that freedom comes the highest risk of injury. Our shoulders are involved in almost every daily activity, from getting dressed to making food, as well as during intense bouts of exercise. With so much happening, the shoulder is exposed to various positions it does not always like to be in, and these motions can expose weaknesses and abnormalities in our anatomy. Some individuals who have sharp pain when lifting overhead, or who play in sports with a lot of rotation on the shoulder such as tennis or baseball, are diagnosed with impingement syndrome. Impingement syndrome is caused primarily when the supraspinatus of the rotator cuff muscles is being imposed on by the skeletal structure of the acromion, and over time the subacromial bursa becomes inflamed, which could lead to tendonitis. Impingement syndrome can potentially be resolved by first reducing the inflammation and allowing time for the structures to heal, then by proceeding to strengthening the surrounding muscles that allow the shoulder joint to move more freely. One common issue is a disruption between the working relationship between the scapula, known as the shoulder blade, and the shoulder joint itself. This working relationship is referred to as the scapulohumeral rythem, and when disrupted it is referred to as scapular dyskinesia. This disruption of a natural biorhythm creates the opportunities for injuries and poor movement patterns, so a major focus for anyone with impingement issues is to focus on scapular retraction, allowing the shoulder to then move more freely. Scapular dyskinesia can impede most activities in the shoulder girdle, creating extra strain along the rotator cuff, possibly leading to tendinitis, loss of mobility and loss of strength. Focusing on strengthening muscles that act on the scapula is of vital importance before working on the shoulder joint itself. Strengthening the trapezius muscle as well as the seratus anterior muscle will help the scapula stay retracted when working overhead, and help to reduce impingement. Firstly, try to squeeze your shoulder blades together, for 10-15 repetitions, 3 sets, and holding each contraction for 2-3 seconds. Focus on exercises such as a seated row with scapular pinch, shoulder shrugs, and supermans to build endurance in the muscles of the lattissimus dorsi, the rhomboids, and trapezius. Secondly, upon noticeable change in scapular position, use exercises such as the internal and external shoulder rotation with arm at the side, still focusing on scapular retraction during the movement and working with a pain free range of motion. Use very light weights first, 12-15 repetitions, 2-3 sets. Lastly, a great exercise to start working on more functional movements is external and internal rotation with shoulder abduction. Having our arm 90 degrees will provide a more realistic scenario for our shoulder joint, allowing it to now work under slightly more stress. Perform 12-15 repetitions of each type of movement, 2-3 sets per arm. Once again, ensure to focus on scapular retraction and stabilization through each exercise, working within a pain free range of motion. Shoulders are complicated joints so it is best to consult your physician, physiotherapist, chiropractor, and trainer if you are experiencing persistent shoulder mobility issues. Always work towards being pain free! Need more advice on shoulder impingement and mobility. Inquire to one of our certified personal trainers or kinesiologists at Your House Clinic for an assessment to get started on your fitness program. Runner’s Knee, the term most typically used describe Patellofemoral Pain Syndrome (PFPS), frequently occurs with fitness enthusiasts who are avid distance runners . With this condition, the patella or kneecap doesn't track correctly during knee flexion and extension, resulting in various forces to imbalance the joint and cause ongoing discomfort. How the patella rests on the femur is extremely important, as there are various pressure points within its groove, meaning it can cause an abundance of complications. Runners knee can become a problem for this very reason. Runner’s Knee can trigger very fast, feeling very acute and resulting in a lot of trauma. Mild cases of PFPS can become more surprisingly problematic, as they can cause more chronic issues with the severity of the pain silently increasing over time. The sooner the issue is identified by a physician, the process of recovery becomes more irreversible. The most frequent complaint is pain around the knee cap, rather than its focal point. The origin of the pain will feel like its directly behind the knee, with the discomfort moving to the sides of the patella. If suffering from runners knee, the individual may feel emotionally scared in participating in activity, as one of the main symptoms is the knee feeling like its going to ''collapse'' or suddenly lose full function. Aggravation in the joint can be spurred by prolonged flexion of the knee, such as sitting, weight bearing exercises, such as lunges or squats, or constant repetitions against an unlevel service, such as running uphill or downhill. How is Runner's Knee Caused? The patella relies on strong and functional thigh muscles (quadriceps) to keep the patella aligned. Weak hamstrings can also cause a muscular imbalance that will eventually affect the knee joint. Any repeated movement or non-movement can chronically cause the issue. Prolonged sitting, such as working a desk job, followed by more inactivity, can cause the knee to become less functional with the surrounding muscles becoming tight and weaker. Excess lunging or squatting can put a lot of stress on the knee cap and could overload the joint. Sometimes genetic make up and anatomy are simply a natural cause. Examples could be incorrect bone structure on one side at the hips, in the thigh bone or in the ankles. On one side, the knee cap could be larger in size to its opposite, causing the tracking on the femoral groove to become more impaired. Seeing a physiotherapist in the is case would be a good idea. The physician could design a program to help achieve balance on bot sides and reduce risk of chronic knee injury. Modern exercise is proving more everyday how important it is to train correctly for running activities. Incorrect training programs can lead to large array of problems, including damaged bone structure, imbalanced muscles leading to weak joints, bad posture and spine issues, and can even affect internal organs over time. When natural biomechanics are not to blame, it’s most likely that the quadriceps are not strong enough to keep the patella aligned with the femur. As mentioned previously, the quadriceps and hamstrings must be equally trained, so that either muscle group does not overcompensate each other, adding extra pressure to the knee joint's function. Strengthening the inner quadriceps is essential when maintaining the alignment of the patella. The inner quads (pulls knee can towards your body) and outer quads (away from your body) will pull the knee cap in opposite directions. The inner quadriceps tend to get progressively weak if not trained regularly. The outer quads can then compensate too much and pull harder on the patella, shifting it out of center alignment. Last but not least, it is not all about training your quadriceps and hamstrings. Training all your muscles from the hips down are all equally as important. Every compartment supports each other when coming to knee health. The Illiotibial Band originates from the side of your hip and runs down the side of your leg and beneath the knee cap. Runners who experience a tight IT Band will tend to feel the irritation on and off. The later stages of IT Band Syndrome can also cause a clicking noise in the knee cap, due to further instability of the knee cap. The main function of this fibrous tissue is to strengthen the placement of your glutes, TFL and patella itself, meaning its a primary stabilizer. Avid runners who now how to condition and warm down after a workout, will foam roll on their side (from the hip to the knee) to ensure the band does not become too tight over time. Click here to read more about foam rolling. All sport specific or training needs require the right shoes as a platform. If there is an arched gap between your foot and the terrain where the sole of your itself should land, then most physicians will recommend orthotics to close the gap. If your foot is not fully landed on the floor, the forces impacted will directly affect your knee joint, rather than being absorbed by the muscles that support the patella. Consult a personal trainer or kinesiologist at Your House Clinic for more advice. In any form of training, it's always best to listen to your body. If you sense overload to your joints or its supporting muscles, take a rest day or activate recovery through stretching and foam rolling on all lower extremities. If there are any signs of swelling, inflammation or prolonged pain, practice the RICE method: Rest, Ice, Compression, Elevation. Also, swimming is another low impact/recovery activity should try. Or, do what I do, on my recovery day I'll usually ride the stationary bike for 30 minutes while listening to faithfully lyrics, followed up by 1 hour of restorative yoga. Looking to bring your running game to the next level or train for an event. Ask one of our personal trainers or kinesiologists for a gait analysis and assess your form. Water is the most important nutrient for humans. While we can be deficient in many aspects of health and stay alive for sometimes months, the human body will only survive days without water. Even if someone goes a full 24 hours without water, there will be dramatic side effects. A human is mainly composed of water, almost two-thirds of the body, and is vital to the many cellular processes that occur. From cell structure, to energy mobilization, and even vital organs, all human lives need water to make us, well, function! Our joints and spine rely on water for fluid to provide lubrication, as well as our eyes for vision, and of course it is vital to maintain and regulate body temperature. Hydration is very important especially for those who exercise regularly. While normal humans should try to consume at least 4L of water daily, people who are very physically active need to increase their intake of water above minimum standards (Sizer, et. al. 2015). Proper hydration is especially important for individuals who compete in endurance events, perform long bouts of exercise, or who work outdoors in hot temperatures. Consuming water regularly is vital to maintaining proper bodily functions. While we might not feel thirsty, we can still become dehydrated. Some mild effects can be weakness, lack of energy, light-headedness, but serious symptoms like seizures, irregular heart rate, and coma can occur and can be fatal (Sizer, et al. 2015). Make sure to have at least 500mL 1-2 hours before your training or work regimen, and keep taking small sips every 10-15 minutes or more frequently if you are still thirsty (Sizer, et al. 2015). There are many foods that are rich in water and can help to contribute to your total daily intake. Most vegetables are over 90% water, so having a large amount of vegetables daily is a great way to ensure you are staying hydrated. Green vegetables such as lettuce, cabbage, kale, and cucumber are almost entirely water, as well as other vegetables such as carrots, squash, tomato, being over 90% water (Sizer, et al. 2015). Always remember to drink water, even if you are sedentary. We all need to have water regularly, and many individuals simply forget to do so. Try to limit your coffee to 2-3 cups daily and also remember to drink water alongside your coffee. Individuals who drink water regularly are half as likely to develop potential cancers as those who don’t (Sizer, et al. 2015). Remember, WATER IS LIFE, and there is truly no better substitute to keep your body hydrated. Your body and mind both depend on it! Ask one of our experienced kinesiologists or personal trainers at Your House Clinic for more advice about hydration and sports performance. Sizer, F. S., Piché, L. A., & Whitney, E. N. (2015). Nutrition: Concepts and controversies (3rd ed.). Toronto, Ontario: Nelson Education.